Hope you have had a good weekend! 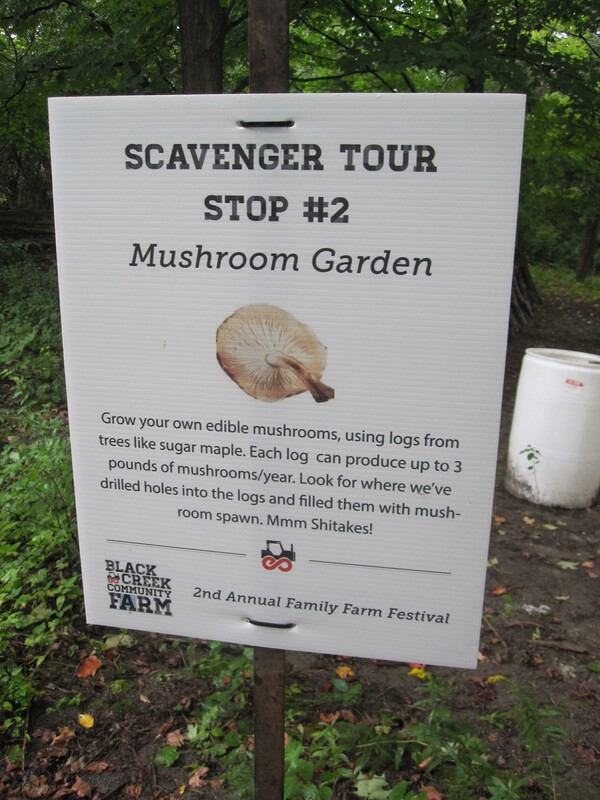 I sure did at the Black Creek Community Farm. 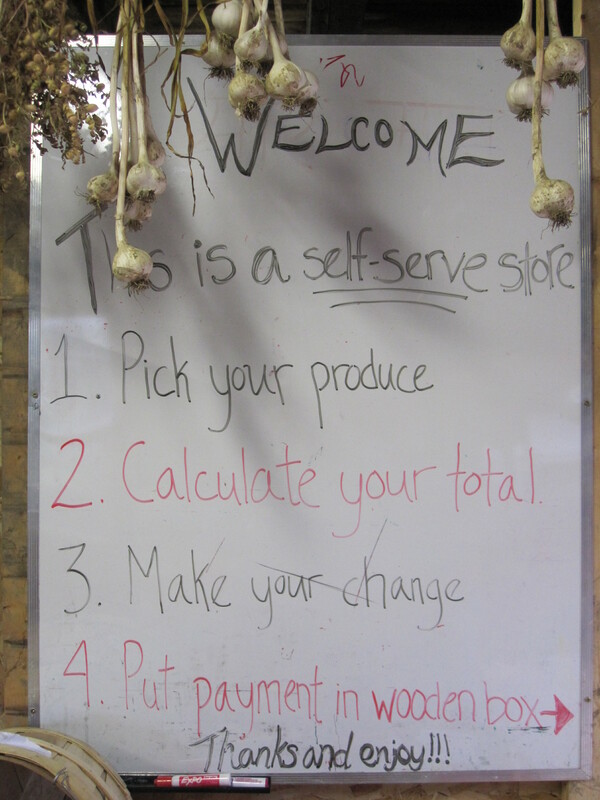 Me and my boyfriend signed up for their Small Scale Vegetable Farming workshop and man did we learn a lot! 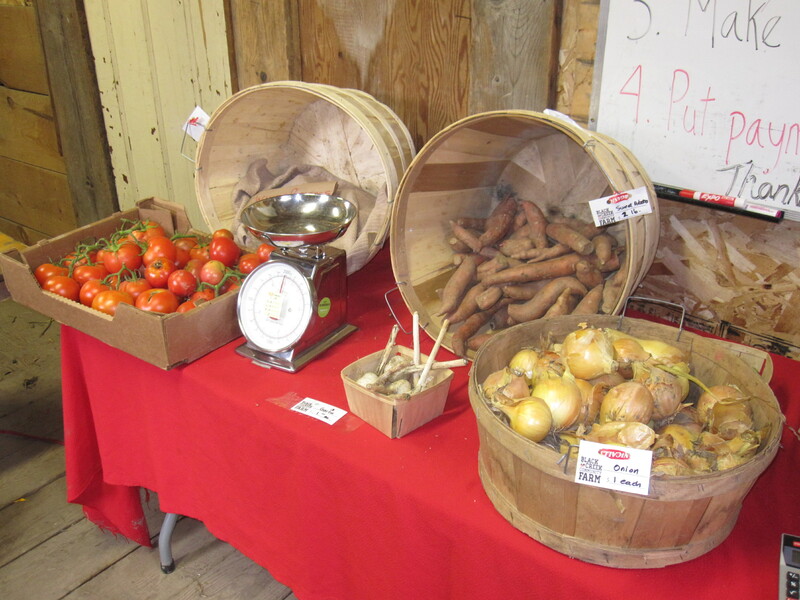 Their farm is located in the GTA close to Jane and Steeles right beside the York University Campus. 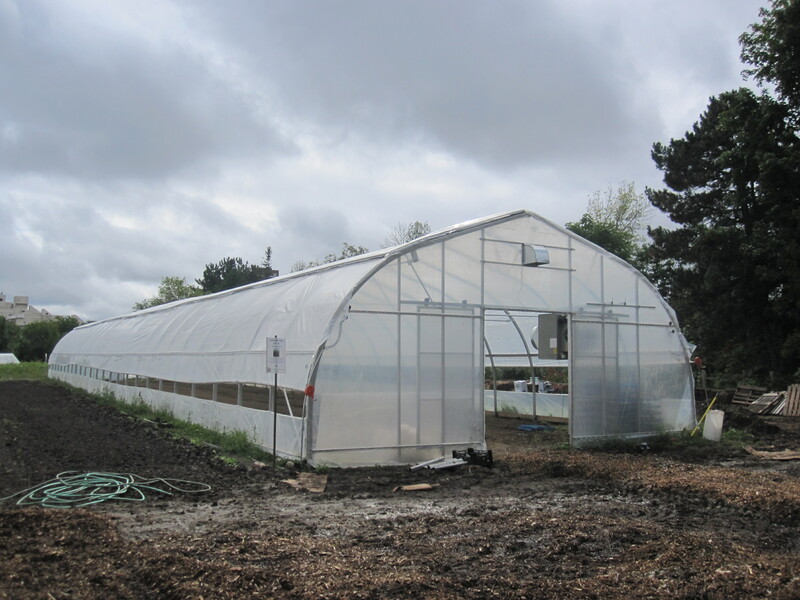 It is a small farm, approximately 5 acres and is known as Toronto’s Largest Urban Farm. 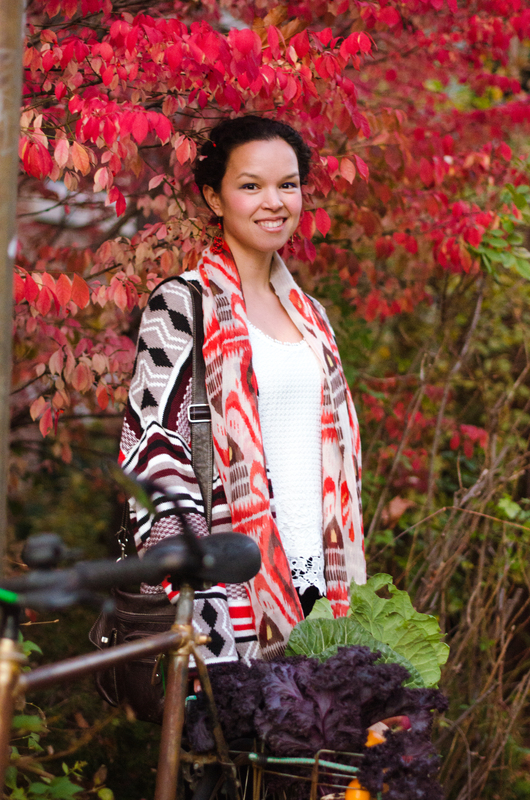 The land was acquired by the Toronto and Region Conservation Authority. It is a collaborative project between Everdale Farm and it’s supporters with a mandate to provide a working model for urban farming for other cities to observe and follow. 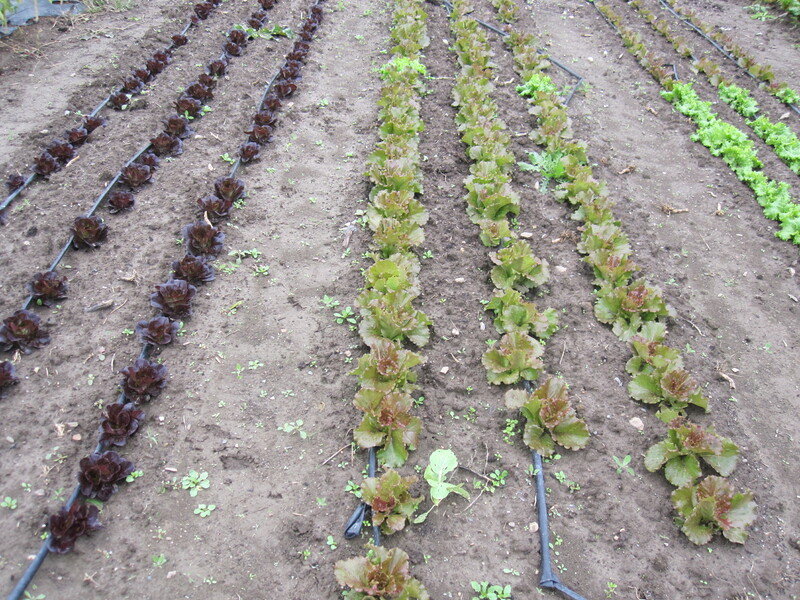 The farm is only two years old but it has quite the vegetable garden already! 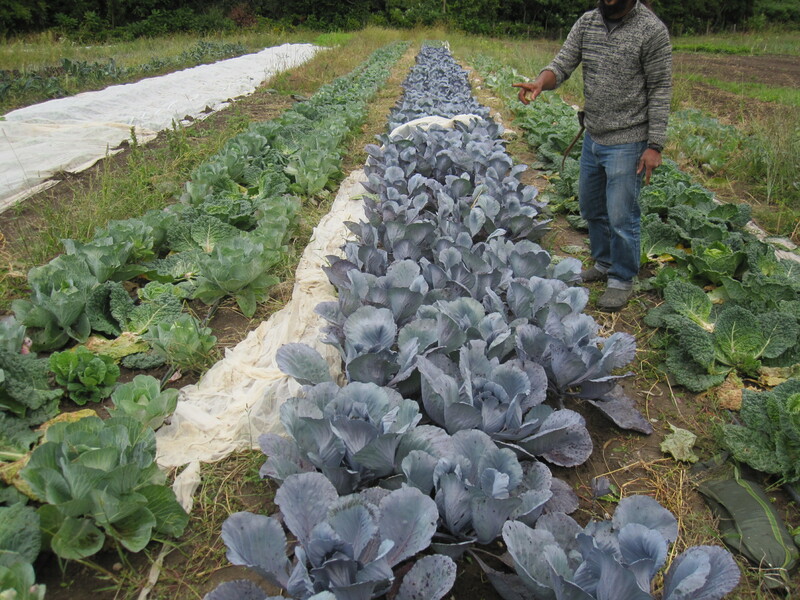 The farm follow the principles of permaculture, which is a concept in which you mimic the interactions found in nature to encourage a more natural way of growing. 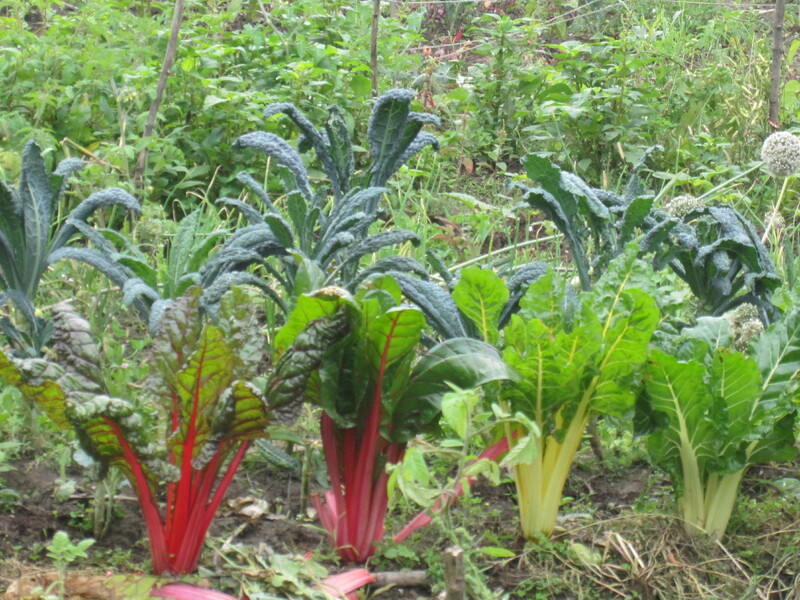 So for example, instead of growing one type of vegetable in a row, permaculture encourages the growth of many plants side by side to support each other and help their growth. 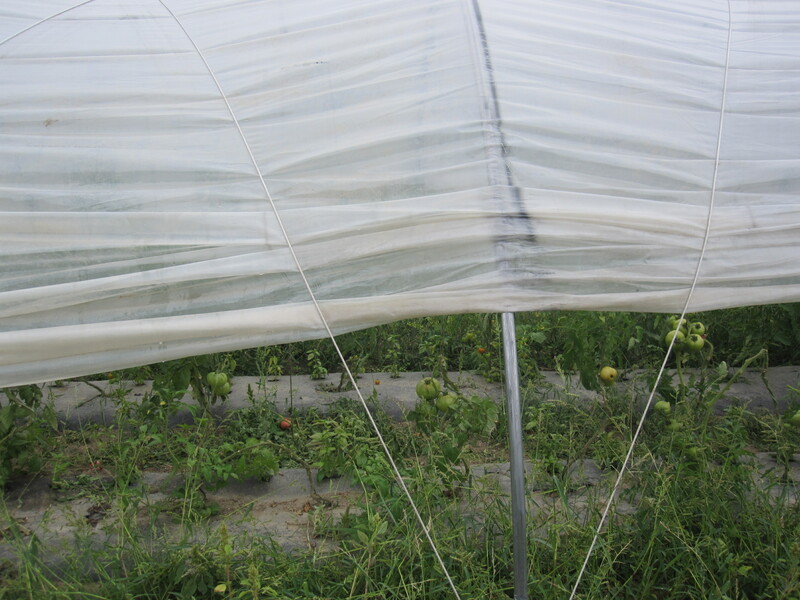 As an example, in a row of plants east to west, you would plant taller plants on the north side to shelter smaller more fragile plants from the wind and sun, and mix heavy feeding crops with light feeding crops (so that you don’t deplete all the nutrients in the soil). 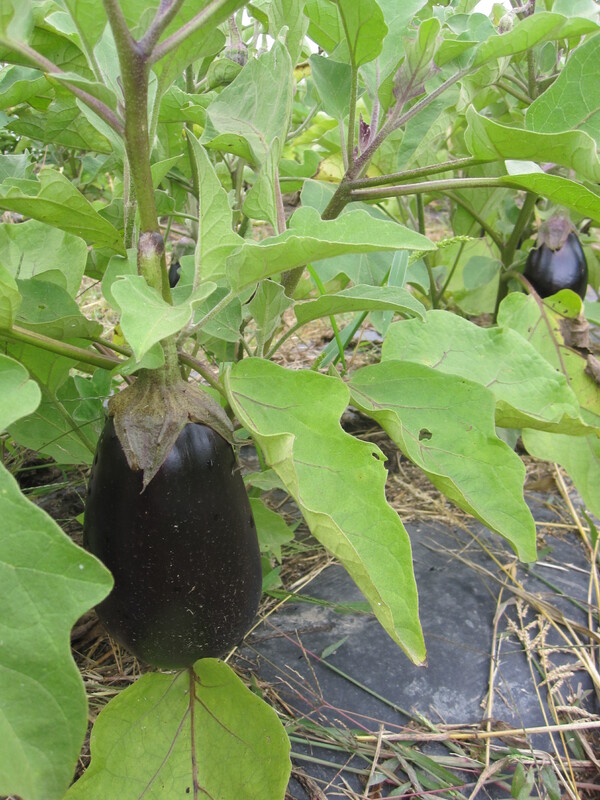 As well, permaculture encourages using weeds, which we often regard as a negative aspect of farming and gardening, to be used rather to our advantage. 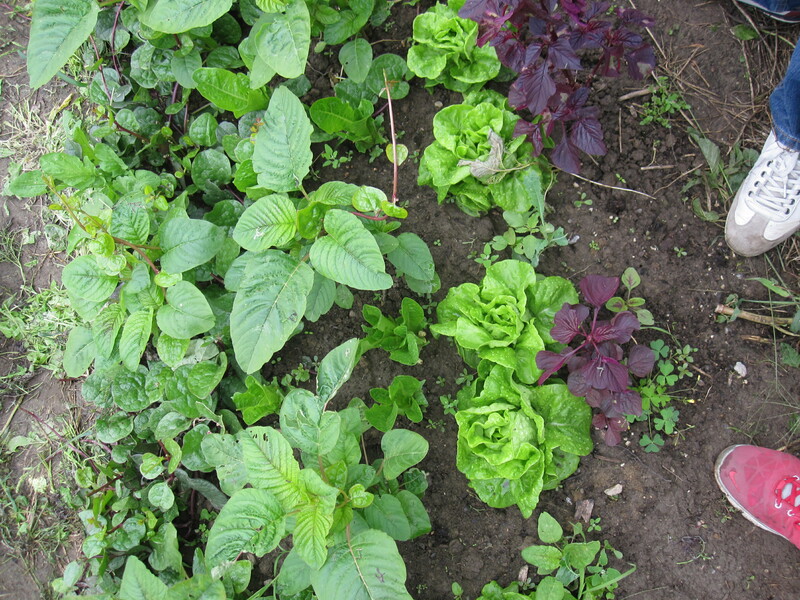 Whether they are left to provide shelter from the wind for delicate leafy vegetables or to fix nutrients from deep within the soil where young plants cannot reach, or to bring in beneficial insects like ladybugs and bees, permaculture encourages us to change the way that we feel about weeds. 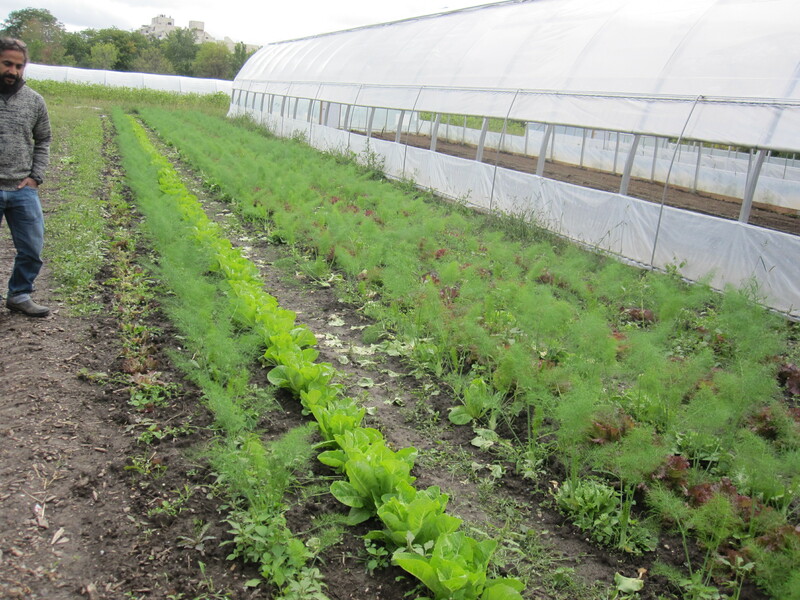 As you can see below, these rows of vegetables demonstrate how well the fennel and the lettuce are growing together. Take a look at the diversity in this row of plants! There are five different things growing in this small plot. 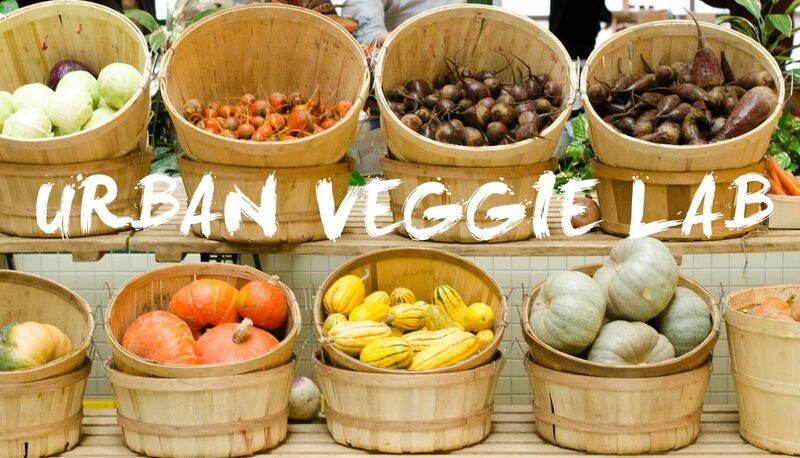 Did you know that beets and swiss chard are actually the same vegetable? 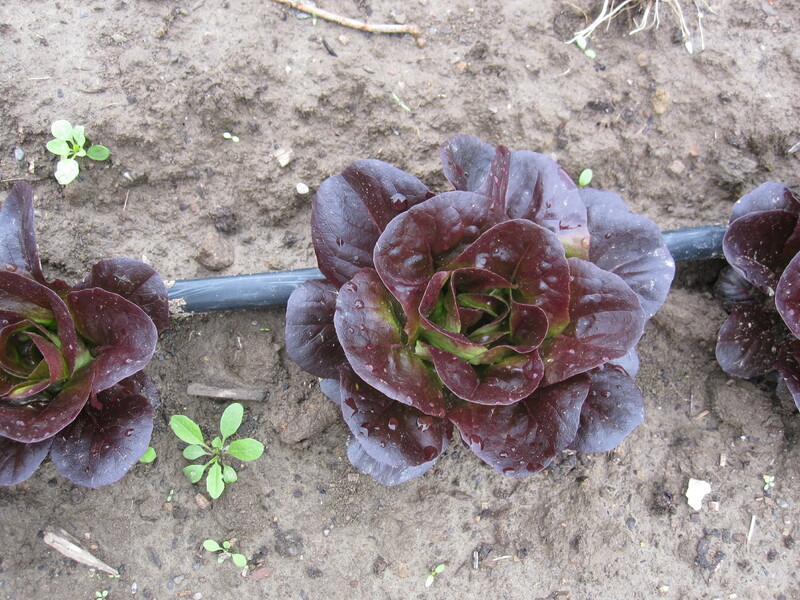 Yes, they have been bred over time through different climates and soil conditions to either focus on the formation of the bulb underground or to focus on the growth of large leafy greens. I thought that was pretty neat. Aren’t they beautiful? 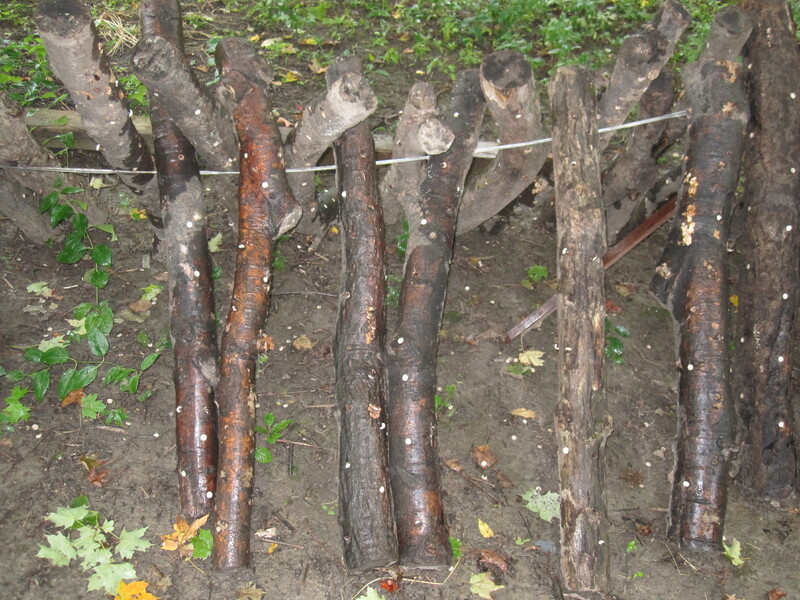 They even grow their own shitake mushrooms by inoculating tree logs with mushroom spawns. Cool eh? 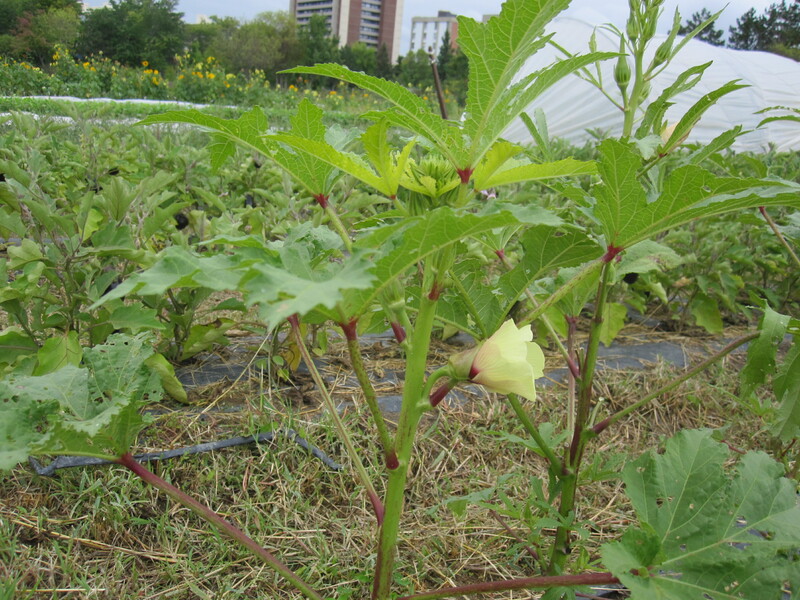 The farm tried to grow okra this year which I thought was pretty cool since it is a common vegetable that is grown and eaten in Africa due to the warm conditions that it needs to grow in. Unfortunately, they got a beetle infestation, and even though they were able to recover the plants, they only starting flowering recently (and thus it is too late in the season for them to have time to fruit). 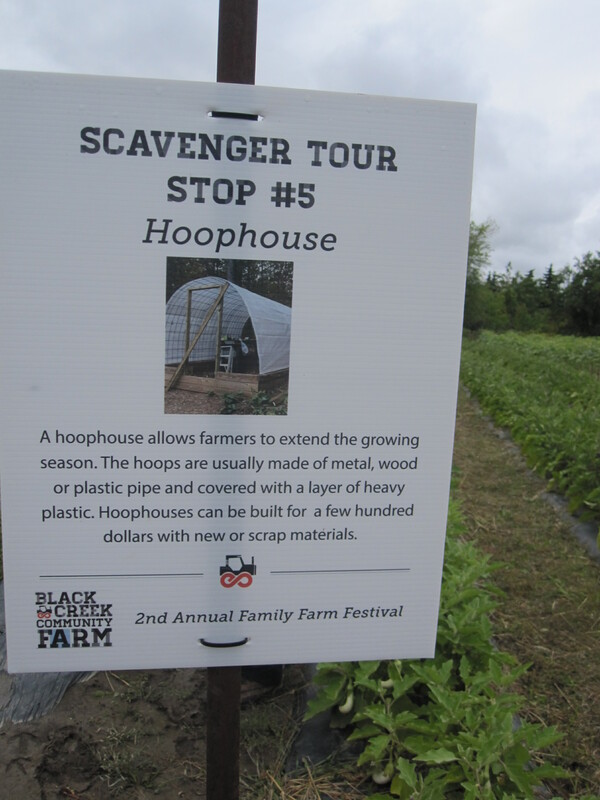 The farm uses equipment such as hoophouses to extend the growing season and make the most out of their land. One major success that the farm had this year was their pepper planting. 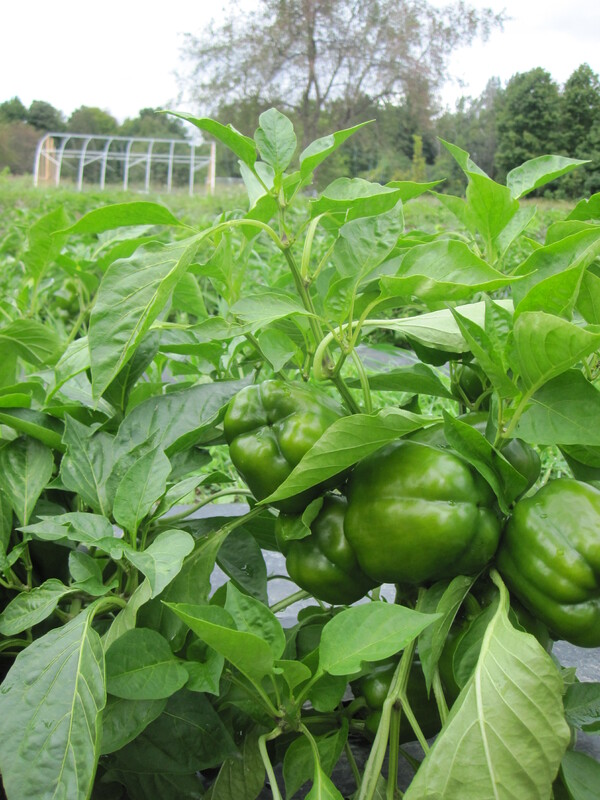 They were very lucky to plant the peppers a day before a big rainfall so the plants grew very well and the yield was phenomenal! We were there and saw at least ten peppers growing on each plant with hundreds of peppers waiting to be picked and enjoyed! Aren’t these plants awesome? 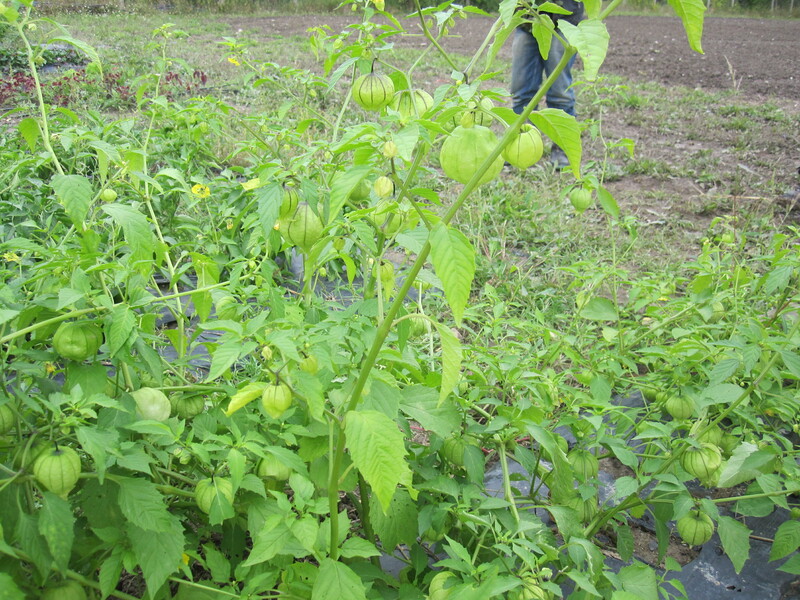 They look like lanterns and are tomatillo plants which produce a delicious green salsa present in a wide array of mexican dishes. They irrigate the plants using a drip irrigation system where you have this thing called drip tape, which is a hollow circular biodegradable tape, that you place through the crops you grow and you puncture small holes in the tape so that one you hookup the tape to a water supply, there is a constant yet small amount of water going into the soil at any one point. 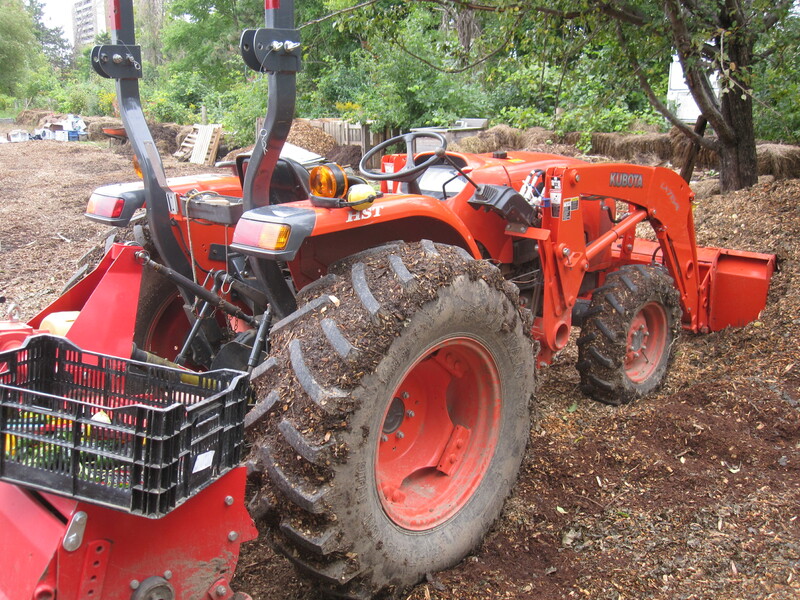 This is their tractor. Isn’t she pretty? This is the only mechanical machine that they use on the farm and it has different attachments to achieve different tasks. 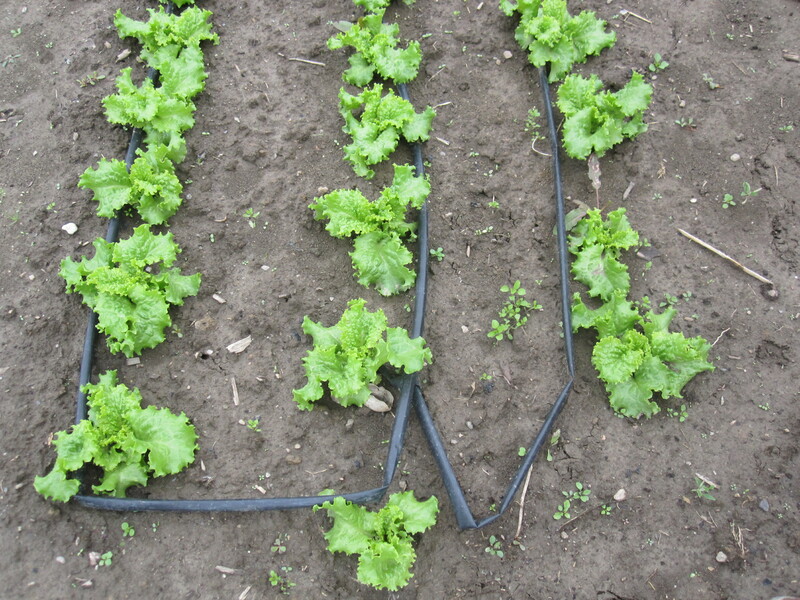 It already has an adaptor at the back to prepare raised beds for planting certain veggies. 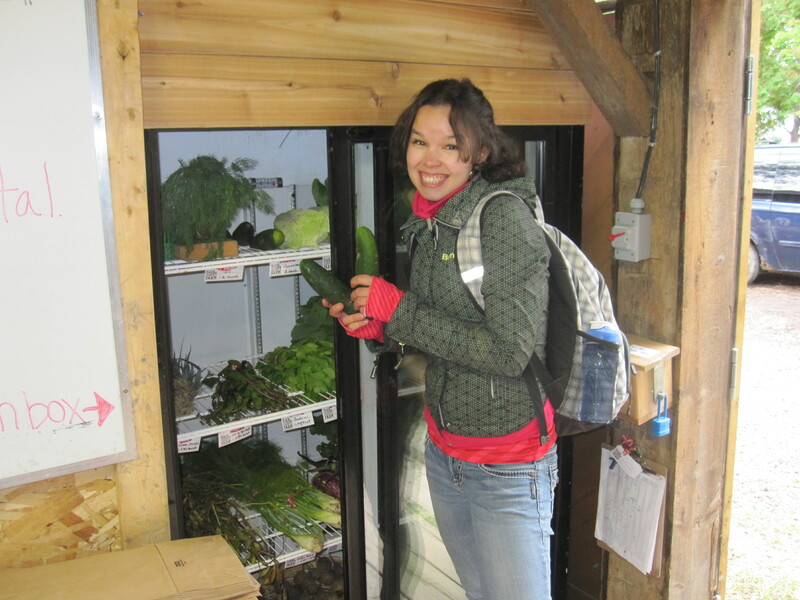 After the course, we went to pick up some fresh veggies from their self-serve store….YUM!